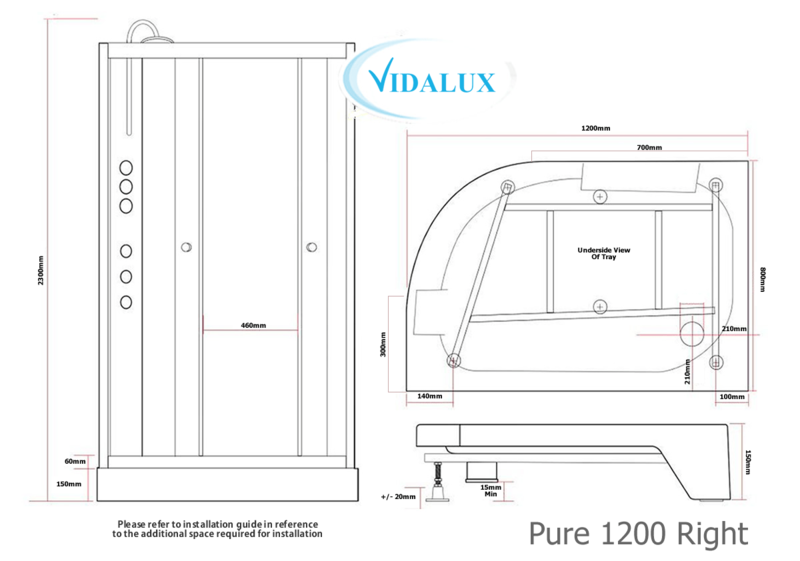 From makers Vidalux, this 1200mm x 800mm self-contained and free-standing shower model is designed to fit into a Right hand corner position. 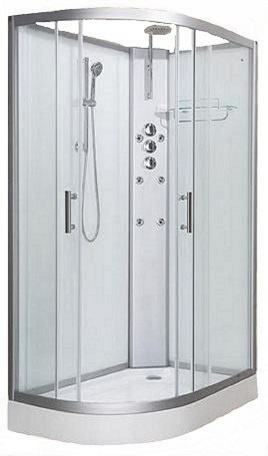 The shower features include a hand shower on a riser rail , a large overhead rain shower, plus body massage jets and a handy glass toiletries shelf. The non see through back panels, means any old tiles or mess behind won't be seen & thus no need for expensive re-tiling etc. Compliment this shower with either a freestanding stool or flip down seat.